Obviously, we like our whiskey neat. 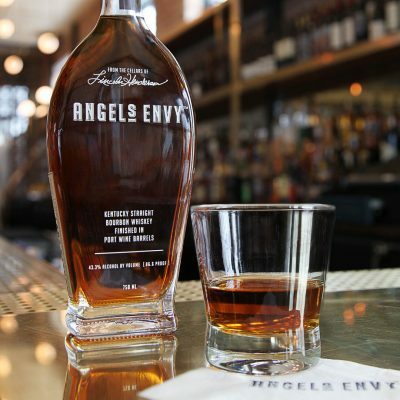 It’s an entirely self-sufficient spirit that only requires a glass to be properly enjoyed. But that’s not the whole story when it comes to our relationship with bourbon and whiskey, and there’s no definitive right way to enjoy it. Of course there are some combinations or preparations that we might recommend over others, but taste is entirely subjective. Our job is to create the best possible whiskey we can, and while we’re free to offer suggestions, how our spirits are enjoyed is entirely up to the individual. We have nothing but respect for the neat purists of the world, but it might surprise them to know how often we rely on water dilution. During our daily sensory analysis, we proof our whiskey samples down considerably to better detect nuanced and subtle flavor variations that would otherwise be obscured by the alcohol’s burn. Likewise, when tasting a new whiskey, we often recommend adding an ice cube, or better yet, a few drops of water for the purpose of dilution to help open up the flavors. We offer water droppers at all of our tastings at the distillery, and suggest that our guests do add a few drops after their first few sips. Everyone has their own tasting techniques, but professionals will use every tool available to them, including the occasional dash of water. With regards to cocktails, we’re big fans. We even built a cocktail bar into our distillery’s Finishing Room just to showcase the exceptional mixed drinks being created by our skilled and highly creative bar team. We also work with a group of remarkable Whiskey Guardians across the country – each one a respected professional in their own city. Over the years they’ve opened up our world to diverse and unexpected flavors and recipes, and it’s been an incredibly enjoyable experience to share with them. The word is full of excellent whisk(e)ys, and whether you prefer yours neat, with a splash of water or soda, or mixed into a cocktail, there’s no wrong way to explore. Do what you want and drink what makes you happy (in moderation).